It’s not a simple answer because both items have good and bad aspects. It depends on what you are using them for as well as your personal preferences and possible health situation. Are you baking cookies and the recipe calls for a stick of butter? Are you mixing a salad dressing and it needs a ½ cup of olive oil? Or do you just want something to spread on your morning bagel? At certain times, you can’t avoid one or the other depending on what you are doing. Then it is up to you to decide if you want to consume that particular product or if there is a different, healthier option. Ideally, about 25% of your daily caloric intake should be fat. To calculate, it is important to know that 1 gram of fat contains 9 calories. That means 55 grams of fat should be included in your diet if you consume 2,000 calories per day. Preferred fats are “good fats” which consist of mostly monounsaturated and polyunsaturated fats. Monounsaturated fats and polyunsaturated fats are known as the good fats because they are good for your heart, cholesterol and overall health. It is especially important for children to consume good fats because they support brain development, provide essential fatty acids, vitamin A, E and D as well as omega 3’s for good heart health. With hectic daily lives, it is not always easy to bring only good fats into our diet. Often times, we eat food with a lot of “bad fats” which consist mainly trans fats and certain saturated fats. Trans fats and saturated fats are known as the bad fats because they increase your risk of heart disease, cancer and elevate bad cholesterol. But just like everything else food-related, the key is moderation. By consuming good fats, you are providing your body with important vitamins and nutrition. However, too much of anything will still lead to weight gain. There is fat in most of the food we eat on a daily basis, therefore it is not easy to avoid it. My personal health strategy is to simply analyze what I already like to eat and to replace the “bad fats” with “good fats”. 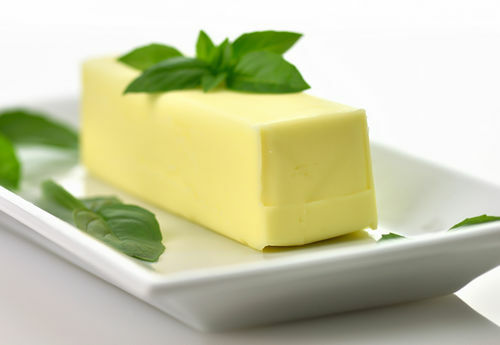 Even though saturated fats may have health benefits it is very important to know their origin and since this article is about butter (and butter is made from high-fat milk or cream) we need to know that the saturated fats in butter are animal fats. BUTTER has been consumed worldwide for more than 3,000 years. It is a natural food essential to our health. It is only in recent years the consumption of butter has raised a red flag by doctors and scientists who said that butter would clog up arteries or is a contributor to health problems especially heart disease. None of these theories were proven to be true. 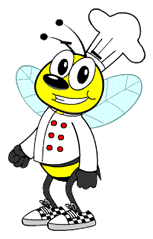 In facts, butter, if produced by a healthy and reliable source (i.e. organic, grass fed), is high in vitamins A, E, D, K, rich in minerals, contains antioxidants and milk proteins. Anything cows eat will end up in your milk and in your butter, so it is good if the cows are raised naturally and without any growth hormones in their diet. Willy and I suggest selecting organic butter from grass-fed cows. 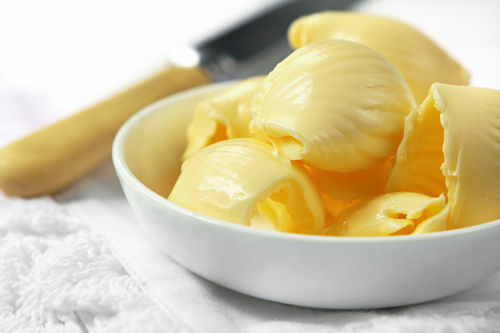 Beside saturated fats, butter also contains naturally occurring trans fats, which aren’t the same as industrial processed trans fats like that found in margarine. On a daily basis, “we should eat a pad, not a pound.” Butter is not bad. It is good for baking and cooking and it adds a great taste to any dish. It should also be noted that it is made from milk fat and, therefore, is an animal product. If you are lactose intolerant or a vegan, you will obviously think differently about using butter. OLIVE OIL is a plant-based product. It is basically the pure “juice” extracted from the fruits of the olive tree. Olive oil is a natural product of olives which preserves the aroma and vitamins of the fruit. 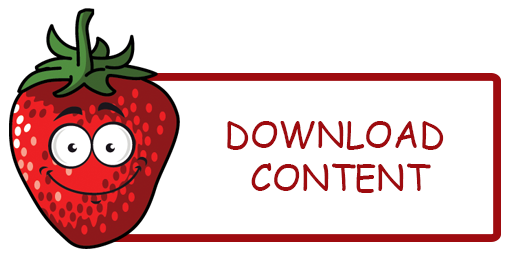 It is the only oil that can be consumed “as is” – freshly pressed from the fruit. It contains a lot of vitamin E and is high in antioxidants, which support your immune system. 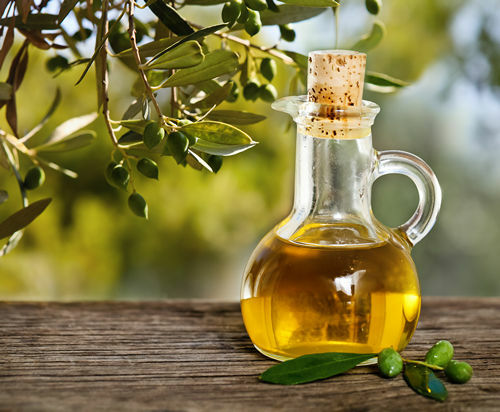 Olive oil has important preventive health benefits such as reducing cholesterol as well as the risks for heart disease. 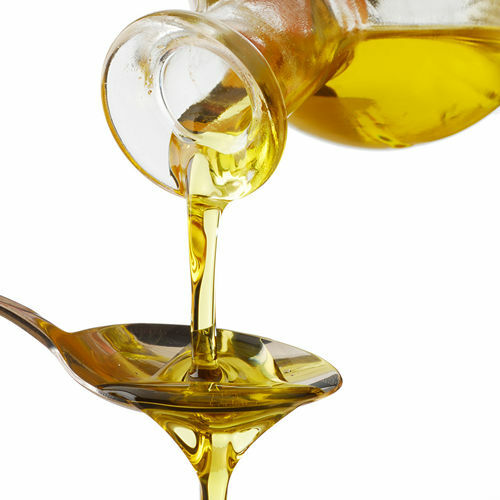 Compared to butter, or other oils, it has a low amount of “bad fats” and a relatively high amount of “good fats”. Also, being a plant-based food, it has NO cholesterol or sodium while butter does. You may choose to consume these fats based on personal taste and preference since the two do not differ much in calorie count; although, there is a variation between them in the nutritional qualities. 100 calories, Total Fat 11 grams (7 grams saturated fat, 0.4 grams polyunsaturated fats, 3 grams monounsaturated fat, 0.5 grams trans fat) 31mg cholesterol, 82 mg sodium. Please note, unsalted butter has only 2mg of sodium. 120 calories, Total Fat 14 grams (2 grams saturated fats, 1.5 grams polyunsaturated fats, 10 grams monounsaturated fats), 0 mg cholesterol, 0 mg sodium. 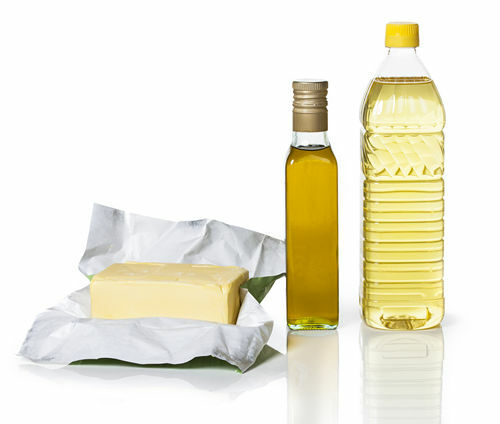 Added fats (such as oils, butter, margarine) are considered additional fat sources that we add to our diets for things such as cooking, baking or as spreads and flavor enhancers. It is your choice how much added fat you use, but be aware that added fats can contribute about 30% (or more) to your daily calorie intake. So even a simple green leaf salad can become a calorie bomb if you put too much dressing or oil on it.